A south-facing plot on a sloping site in south-west Sheffield, with aspirations to become a vineyard. I've only got one section left to dig, and even that is more-or-less clear, at least on the surface. It just needs a bit of rain to soften it up now. And this is the quantity of bindweed dug out of just half of it. Horrible stuff, although I confess I was expecting more of it. Is this a harbinger of sloes to come? and this is the early rhubarb. Soon be time for some crumble! Digging has started; digging, I tell you. It feels like the start of a season. And all the seasonal stuff is getting going. Rhubarb is up. Blackthorn is beginning to bud with flowers; if the buds translate into flowers and then into fruit we could be looking at a bumper year for sloes. Fingers crossed. And look who appeared at the next door allotment. I think Spring must have sprung. Pricked out 80 geraniums (will that be enough? ), 60 Begonias, 40 petunias, 20 Lobelia, 20 Marigold, 4 Fuschias & 5 bigger petunias. Then I've got 16 1st early spuds and 25 2nd early spuds chitting. Then pruned the Plum, Cherry, Raspberries & Grapes. And dug two sections of the allotment. Gor blimey, give that man a beer. What a glorious day for pruning your Blackberries, missus. No, I'm not channelling Ken Dodd; I really have been pruning my blackberries (well, those at the allotment anyway. What are you like?). I've been trying to do it for weeks now but today was the first non-swampy day. Pics below. I know they look much the same but trust me; the old stuff is cut out and the new is tied in. Job done; hands more or less intact - only minor lacerations. I'm slowly building up material for another MOAB (Mother Of All Bonfires). Trouble is, it keeps getting rained on. Every time I go to the plot the first job is to turn the heap and open it up so it will dry out. It does face due south so it gets lots of sun and wind and dries out quickly....until it gets rained on again. Fingers crossed for a bonfire soon. And something which always makes me feel good. However hard the weather, rhubarb is just irrepressible (try spelling that after a couple of glasses of red wine!). Ee, it fair warms the cockles of my 'eart to see 't rhubarb up again. Sithee!! The seed orders have gone in, mostly to DT Brown but also a minority to Seeds of Italy. I've also ordered replacement Strawberry plants (Marshmello) from Marshalls. After last year's debacle I'm moving the strawberries out of the allotment to the garden at home where I can keep a closer eye on them. Marshalls had a 3-for-2 deal on them so I'm getting 30 plants for the price of 20. But it does all add up. I'm not sure whether this is wise but I'm trying to keep track of costs. So far this year, and it's only the 14th of January, I've spent £71.87. And, to heap further pain on this, yesterday the notice of rental costs arrived from the Council. It's a VERY steep £160 this year. Ouch. there's a lot of unrest and discontent in Sheffield about this. We're seeing the legacy of many years of under-management coming home to roost, with big 'catch-up' rent increases all happening in a couple of years. We do also seem to be paying towards the very top end of the range of costs. The one bright point in this is that I see I qualify for a 25% discount on account of being over 60. Every little helps!! ....list of seeds to buy! I've just done the this-time-of-year Seed Audit. It's a bit daunting how much I've got to buy, but if I don't buy it there'll be some pretty significant gaps. Like Leeks. I do, as it happens, and I seem to have no Leek seed left. Eek, no Leek!! Seeds this year are from a combination of Seeds of Italy, who I think are excellent, and DT Brown, who I've never used before. Seeds of Italy provide vast quantities of seed in every packet at a not-unreasonable cost. Browns provide fewer seeds, although still enough, at a commensurately lower cost. Their catalogue is a good reference work too, whereas Seeds of Italy provides a good entree into a different world of growing entirely. 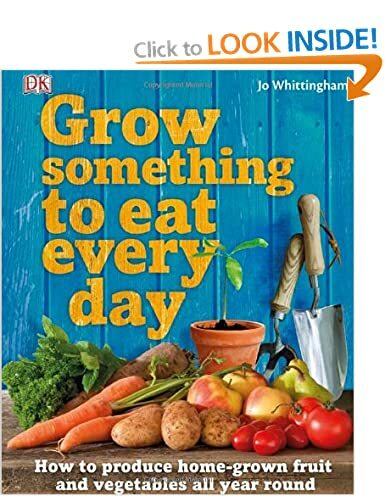 Grow something to eat every day? I rather like the concept. Wouldn't it be great to be able to eat something you'd grown yourself, every day? I'm thinking about giving it a go next year. There is of course the problem of when to start. I've only got Leeks in the allotment at the moment. I like leeks but not every day! Mind you, once you extend the concept to include preserved stuff the list gets a bit bigger. But even then, there is a limit to how many Pickled Onions a chap can eat. The home-grown wine wouldn't last but the Sloe gin might. And there are certainly lots of Blackberries, Raspberries, Rhubarb & Beans in the freezer. But, however you look at it, there's a bit of a hungry gap until Spring sowings/plantings come on stream. Perhaps 1st April would be a good time to start, with lots of early salads? 1st May? I'd definitely need to get the cold-frame refurbished. It's huge - 6 metres wide and 1.25m deep. Plenty of space there to supplement the greenhouse, and it's crying out to be brought properly back into use. A winter project methinks. As for the book itself, I've had it on loan from the local library and toyed with putting it on the Xmas list (£15). I'm glad I didn't though because I've found an "As New" copy on Amazon for 1p + postage. Result!! It's in the mail. Oh, hang on, I just did. Well, seven and a half kilos of them actually. They're now in a plastic bin fermenting quietly away for a week or so, still with all the skins and pulp in there. This is the "must" apparently. Must get used to using the proper names! It turns out there's been a run on wine yeast, with a lot of wine being made after a good summer. I couldn't get Burgundy yeast so am having to use high-alcohol port yeast. High-alcohol? Oh dear, how sad, never mind.